Super Hostel, in the center. Very friendly, clean, nice outside terras. I Will return there again when I come back to Zagreb. Amazing service and staff. We arrived very late in Zagreb due to troubles during our journey. But she still waited for us with her comforting smile. We had a lovely night sleep in this comfortable bed and highly secured room. A great shower in a clean bathroom. And finally, a good cup of free coffee before going out, directly in the city center. Definitely recommend it! Très bonne prestation. Bon accueil et personnel très compétent. Nous vous recommandons cette auberge de jeunesse. L'endroit est calme et nous bénéficions d'un parking gratuit dans Zagreb. We really enjoyed our stay at hostel Shappy. 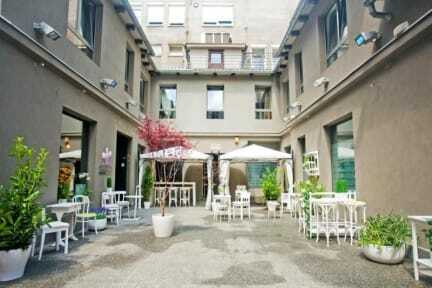 Cute rooms, perfect location in Zagreb, great welcoming. Probably one of the nicest hostel we have ever been in.